Just a few days before recording this episode, Ireland voted overwhelmingly to repeal the 8th Amendment to their Constitution which had recognized the right to life of the unborn. 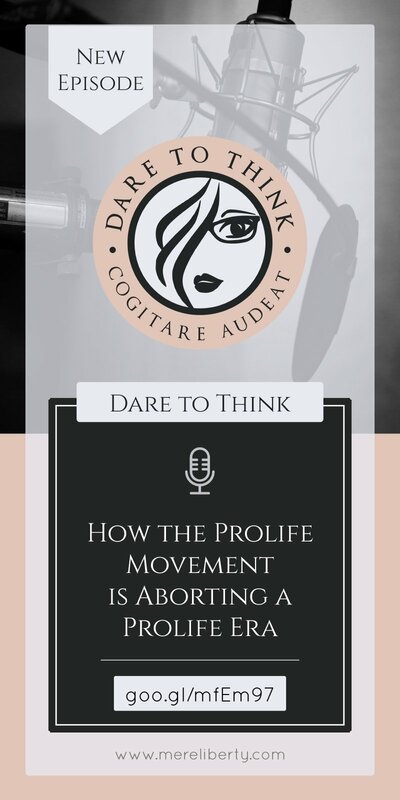 In my last episode of Dare to Think titled, How the Prolife Movement is Aborting a Prolife Era, I offered constructive criticism of the prolife movement, particularly the latest abolitionist movement, by Jeff Durbin and his End Abortion Now campaign. If the Irish referendum shows anything to prolifers, it’s to heed my cautionary question: What is the goal in ending legal access to abortion? If you haven’t yet heard this episode, I highly encourage you to check it out. The link is in the show notes. Some of the same criticisms I offered have motivated otherwise prolifers to support prochoice policies, echoing the mantra of the Clinton Administration to keep abortion, “safe, legal and rare.” And some libertarians, Christians, and feminists have taken up the position that abortion prohibition is a violation of a woman’s God-given free will and moral agency, and as such, decisions to keep or abort her child should be left up to the woman’s discretion. The sentiment of those stuck in the gray area between anti-abortion and pro-abortion might seem like the most rational stance on the issue. Abortion, after all, is highly complex and typifies a vastly greater societal conundrum that stems from poverty, abusive relationships, bad decisions, and even outright violence. Not to mention the political-economic aspects contributing to these problems. If solving abortion means dealing with all of that, is it any wonder that the Christian feminist view of abortion has become so popular? But is it reasonable to suggest that we can make abortion, “safe, legal, and rare?” Is it reasonable to say that our rights are inherent in our humanity, but leave the decision of abortion to the discretion of each individual woman? Do prochoicers really have the intellectual, philosophical, and humanitarian high ground? Or perhaps, what’s at stake in the abortion debate, is really what’s at stake for all of us? Join me, Kerry Baldwin, as we Dare to Think about the Christian Feminist View of Abortion. 1. Is abortion a right? One of the first Christian feminists who advocated that abortion was a God-given right to women was Beverly Wildung Harrison, in a book she published in 1984. In fact, she argued that on demand abortion was a necessary condition for the liberation of women. Dr. Willie Parker, an abortionist, says in his new book “Life’s Work,” that he’s doing God’s work and protecting human rights, by performing abortions. 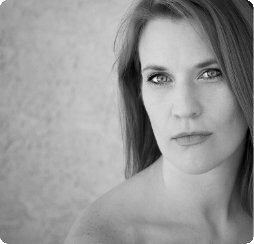 Rebecca Todd Peters argues that society should trust a woman’s moral agency to make the best determination regarding the rights of her fetus. The irony in the assertion that abortion is a human right, is that abortion then cannot be exclusive of men’s rights, since men are also human beings. If a right to abortion is a human right, one must ask what a man’s right to abortion looks like. Still most Americans, at least, believe in the “safe, legal, and rare” mantra: the notion that, by keeping abortion a legal right we can keep it safe. And by increasing entitlement spending, we can keep abortion rare. But there are pro-abortion advocates who are wasting no time in moving away from this mantra, and toward the position that a woman has the moral agency, will, and autonomous right to determine the moral status of her unborn child. So is there a legitimate right to abortion or not? Abortion can only be a right if it’s inherent in all human beings, and if it doesn’t infringe on the rights of others. But how do we establish that a right exists, and when those rights begin and end? These are fundamental questions, not just to the abortion debate, but for the foundation of libertarian philosophy as well. Some people believe rights begin when life begins. Some believe it’s when pain can be felt, or when brain waves or a heartbeat can be detected. Others believe it can’t be determined inside the womb, and there are those who would argue they haven’t begun post-birth either. The fact that life begins at conception is incontrovertible (the real issue for abortion is personhood). Biology outlines six characteristics in order to classify something as a living organism – that is, an individual life form beyond the cells that comprise it. Here are those six characteristics. The fertilized egg, or zygote, does all these things. Each cell in the human body contains a complete set of DNA – the genetic blueprint that defines (almost) everything about us, but unlike other cells which are highly specialized, the zygote grows, develops, and evolves. Regular cells are in a continual state of replication and apoptosis (cell death), this is not the case for the zygote; most cells have a lifespan in the numbers of days, with some exceptions. The zygote is different; immediately following the joining of egg and sperm, a completely new and unique genetic code is written that is different from mom’s. The presence of a new genetic code within our bodies triggers the immune system to respond and attack. Mom’s body recognizes the zygote as not-her-body. § shields itself making it impervious to attacks by mom’s immune system. § implants itself in the uterine lining by the end of week 1 (for reference, pregnancy tests cannot provide positive results until the time of implantation). § Creates the placenta and umbilical cord that will provide for itself shelter and nutrition. Unlike other cells, the zygote evolves and reproduces through mitosis; it exhibits growth and development; building and improving on itself – and this process of development doesn’t end until we reach adulthood, which, if we’re including brain development, doesn’t end until your mid-20s. Every other cell in the mother’s body is under directives from her own body. The zygote is under its own directives. The problem with the strictly “living organism” argument, however, is that mammalian animals go through the same process too; what’s unique about a human being? This is where the question of personhood arises. The driving question from the pro-choice side is not whether human life begins at conception. Pro-choice scholars, activists, and abortionists all accept this, though will sometimes conflate life with personhood! The question is whether a person begins at conception. They’re questioning the distinction between “human” as a biological category, and the existential nature of “being.” The idea is that only “beings” are deserving of moral consideration. The problem with the question of personhood though is that, by its very nature it’s not empirical; that is, it’s not something testable, addressable, or answerable by scientific methods of any kind, and therefore we cannot arrive at consensus in the same fashion we can with science. The crux of the personhood debate is instead a necessarily philosophical question; it always has, and always will be. Biological, sociological, and political scientists are not going to solve this problem; government is not going to solve this problem; and unless all philosophers are willing to concede the same metaphysical assumptions and agree with the subsequent implications with universal consistency, then they won’t solve the problem of personhood either. So if we can’t solve the problem of personhood, then why does this even matter? Personhood is inextricably tied to ethics and in ethics we must be able to determine what is right and what is wrong, apart from personal subjective feelings. How do we define murder, or theft, or slavery, without understanding how personhood is related to these things? We can’t even establish what rights are much less that they exist, or even know when rights have been violated, without an understanding of personhood. Despite the inevitable perpetual disagreement on what constitutes personhood, for the sake of civil governance, we must be willing to err on one side of the line or another. Where are we going to err? Where do we want the state, or civil magistrates, to err? Where do we want our neighbor to err? One practice in ethics is to gauge the soundness of an ethical theory through consistent application. If it cannot be consistently applied, then it is a bad theory. So let’s test some pro-choice presuppositions about fetal personhood. then we must also say … We cannot determine when personhood begins, therefore we should leave the decision to drone bomb a village between a president and his military advisers. then we must also say … a toddler doesn’t have the ability to do X, therefore, the parents have no obligation to care for it through to childhood. My hope is that you’re feeling some cognitive dissonance with these statements. Recognizing that personhood necessarily exists (because we cannot have a concept of rights or ethics without it), but not understanding how, or why, or when it starts, means we have only two choices: err on the side that rights are inextricably tied to human life, or arbitrarily decide which humans do not deserve to be persons. Should your rights be dependent upon particular parts in your body functioning properly, or at a particular level of development? What if you were physically or mentally disabled? Should your rights be dependent upon where you live? What if you lived in a poor neighborhood? Or a village in the way of deforestation? Or you were homeless and living on public property? What if you lived in an abusive relationship? Or under the tyranny of a despot? Or dependent on entitlements (such as food stamps or Medicaid) from the state? Should your rights be dependent upon whether other people value you? What if the color of your skin meant you are less valuable than those with another more predominant skin color in society? What if your female reproductive organs meant that you were inferior, or the only thing that gave you value? Should your rights be dependent upon whether someone can see you? What if you are punished for a crime by being put in solitary confinement? Should your rights be dependent upon whether your present state is the result of someone else’s crime? What if you were a war refugee arriving on the shores of the United States as the direct result of the war crimes that destroyed your home? I could keep going with these, but I won’t belabor the point. This exercise of trying to quantify and qualify the value of human life, is completely arbitrary. Even if you are willing to have any of these standards applied to yourself, what gives you – or me – the right to use them against another human being? Abortion cannot be a human right – What’s at stake for the unborn, is what’s at stake for all of us. To err on the side of any of these standards, means risking violations of basic human rights of those who fail to meet these standards. And if you, or I fail to meet these standards ourselves, then neither you nor I have an inherent right to even assert the existence of our own rights, much less exercise them. Should your rights be dependent upon the fact that you’re alive? To stand on this side means protecting the disabled, the poor, the homeless, the “uncivilized,” the inconvenient, the abused, the oppressed, the needy, the minority, the woman, the criminal from cruel and unusual punishment, and the refugee. Why, then, should the disabled baby, the poor baby, the homeless baby, the “uncivilized” baby, the abused baby, the oppressed baby, the needy baby, the minority baby, the female baby, the criminal’s baby, or the refugee baby be any different? Christian feminists are right to identify the socio-economic problems that impact women and their decision to abort, but like many of those pro-lifers who’ve migrated to the pro-choice side, we have to understand the “why” beyond the problem; why do we need to address the socio-economic problems? Why do we have a desire to reduce abortion? Why is abortion a problem to begin with? These are not questions that abortion advocates like Beverly Wildung Harrison, Dr. Willie Parker, or Rebecca Todd Peters want you grappling with. Which is one reason why they insist on changing the narrative from “safe, legal, and rare,” to appealing to the notion that the ruling patriarchy is really just trying to violate a woman’s free will and moral agency. Abortion is viewed by 69% of Americans as either never right, or tolerable only under certain circumstances. In other words, abortion is viewed by a majority of the population as wrong, but sometimes a necessary evil. If we accept abortion as a necessary evil, we must prove that ending the life of an unborn baby is a lesser evil than the reasons why women seek abortions to begin with. The reasons women seek abortions are primarily due to poverty and bad relationships. In order to prove that poverty and bad relationships are greater evils than ending life, then we must quantify and qualify the value of human life in arbitrary terms. But as we’ve just discussed, quantifying and qualifying the value of human life cannot be consistently applied to born humans. Therefore, accepting abortion as a necessary evil is not sound ethics unless we accept that sound ethics involves dehumanizing other marginalized groups of people – including fellow women. Considering abortion a necessary evil, means that poverty and bad relationships are a greater evil than murder. But to argue this in an intellectually honest way entails excluding nearly every marginalized group in human society. In other words, the socially progressive view, that is justifying abortion as a necessary evil is self-defeating for every other assertion concerning social-justice. It’s a fatal flaw that breaks down the rest of their ideology by justifying social injustice. The self-refutation is why Clinton’s “safe, legal, and rare” mantra is such a misnomer; it provides a false hope that human life – in any standing – is of any value. Moral agency is an individual’s ability to make moral judgments based on some notion of right and wrong and to be held accountable for these actions. But this agency doesn’t entail the ability to determine normative ethics in a relative fashion. Granted, women are moral agents, but that doesn’t mean women have the discretion of determining whether abortion is relatively ethical. If we ethically untie personhood from the living organism called “human,” then we can only tie rights to a unique subset of human beings; this is eugenics; this is elitist; this is fascist; this is completely opposed to what marginalized groups (like feminists, the LGBTQ community, and Black Lives Matter) are fighting against. It is logically inconsistent to say you defend the rights of marginalized groups, but support abortion. Being pro-choice is anti-intellectual; it’s anti-woman; it’s anti-human, and it’s certainly anti-Christian. The feminist arguments being offered to Christians falter on basic logic. But if my analysis here is not enough to convince Christian feminists that keeping abortion, “safe, legal, and rare,” is both insufficient and ineffective, then perhaps you’ll listen to Elaine Storkey. Storkey is a Reformational philosopher and contributor to CBE International, and has recently republished her book, Scars Across Humanity: Understanding and Overcoming Violence Against Women. ”In the year of the #MeToo movement, the practice of female feticide [in India] offers us a powerful depiction of the institutionalization of violence against women. The abortion of millions of healthy embryos might look less primitive and violent in the US than .. in India, but the similarities remain. Moral boundaries cannot be eliminated by technology, however sanitized the process. As Christians, we know that our human identity is made in the image of God, which means we must challenge the violation of other persons. Scripture admonishes us to respect the most vulnerable among us, so the fetus in the womb and the pregnant mother are therefore entitled to special care and concern. At the same time, our theology of sin alerts us to the problems of indifference, brutality, and greed. Across the globe, deep-seated cultural attitudes have merged with contemporary materialism to produce a system that can devalue, degrade, and control women in every stage of their development … we need to be critical of what has often been normalized in our own culture, especially when it runs counter to a biblical pattern of equal human significance. Elaine Storkey is right! And her logic is no less true of males. Abortion is logically, morally, and socially indefensible. It is a canary in the coal mine as a manifestation of institutionalized violence against all people, not the least of which are women. It is for this reason that libertarian philosophy cannot remain nebulous on the issue of abortion and also remain a coherent and relevant force against the authoritarianism it purports to oppose. In an article posted November of 2017, Andy Craig rightly identifies the principles at stake for libertarians are self-ownership and justice for acts of aggression. Most prominent libertarian thinkers have taken some form of pro-choice position, with the most popular being Rothbard’s Evictionism, and it seems this is most likely due to the premise that a pro-life position is a religious one. Libertarianism opposes any sort of theocratic construction of civil governance, and rightly so. But the result has been quite a mess with the ultimate conclusion simply being, that the ultimate decision ought to be left up to individual conscience, specifically that of the mother. This is highly problematic however. Libertarianism is a philosophy that takes a hardline stance on the fact that our rights are inherent in our humanity; that no one, including the state gives us our rights, and that our rights exist whether they are recognized by others or not. Since libertarians take such a hardline stance on the origin of our rights, it is incumbent upon us to establish when those rights begin. Why? If the question of abortion is left up to the individual, then our rights are NOT inherent in our humanity, but in whether our mothers chose to acknowledge our rights. This is antithetical to the entire philosophy of libertarianism. By remaining nebulous on when a human becomes a rights-bearing individual, the entire philosophy crumbles under its own weight, and it too will suffer the same self-defeat that the feminist view of abortion suffers. The dilemma in the abortion debate is less about one or the other side achieving victory over public opinion, and more about the fact that both sides are inherently flawed. The prolife side is like the proverbial French aristocrat declaring, “let them eat cake!” (or let them have babies!) while failing to see why so many are saying they can’t or don’t want their babies. And the prochoice side is the Emperor with no clothes; having believed a con for the sake of pretense … the pretense of the rights of women and marginalized groups. Where does this leave us? Is the issue of abortion a lost-cause? Must we maintain on demand abortion in order to avoid the dystopia of the Handmaid’s Tale? Is conceding the right to life of the unborn acquiescing to the a ruling, elitist, patriarchy? Is libertarianism only appealing to women if it remains nebulous on the issue? And which side really is dependent on the state for legal protections? In my next episode of Dare to Think, I’ll be challenging prominent libertarian thinkers and rethinking a philosophically libertarian case against abortion. Duncan, F. E. et al. The zinc spark is an inorganic signature of human egg activation. Sci. Rep. 6, 24737; doi: 10.1038/srep24737 (2016).